Well, after three or so years of not driving my 1994 Geo Metro I've got it back on the road (mostly due to smog issues and laziness on my part). To celebrate, I bought a bunch of stickers to decorate it. Now I've just got to put everything back to fuel-economy mode instead of 'pass smog' mode and then I need to install some new rear skirts. 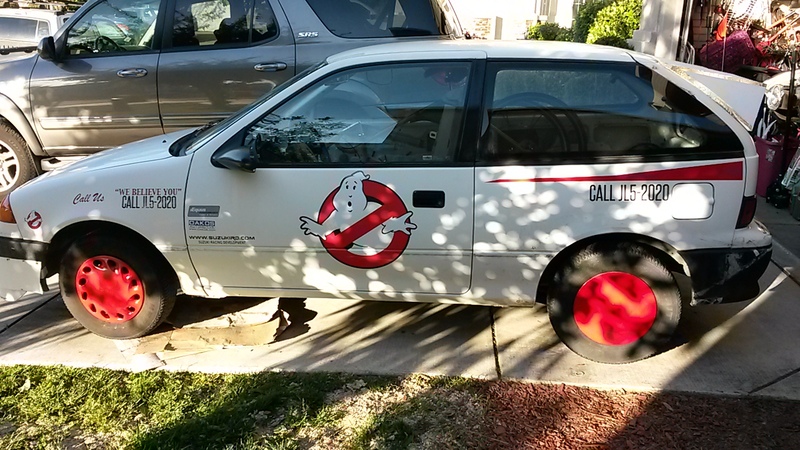 Last edited by cycleguy; 04-15-2016 at 11:38 PM..
...bet your car gets even MORE looks/laughs when the new "Ghostbusters" movie arrives! Who cares about the flip off. That dude has to live in his/her skin with all that anger roiling around. Welcome back!